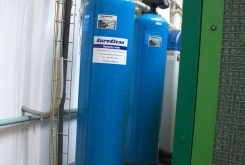 AquaCarbon filters are most commonly used to remove free chlorine, especially for the protection of reverse osmosis membranes. 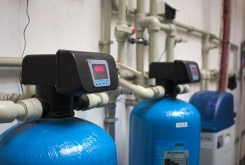 However, dechlorination is also required in other cases (food, process water, heat exchange circuits, etc.) They are also used to modify the organoleptic properties of water, ie to remove unwanted smell, taste or color. AquaCarbon can also be used to remove pesticides, drug residues, disinfectant byproducts (trihalomethanes) and other organic substances. In addition, the filters capture heavy metals, some other inorganic substances (eg hydrogen sulphide) or undissolved substances (turbidity). They are commonly used as the second stage of filtration as they can also capture particles that pass through a conventional sand filter. 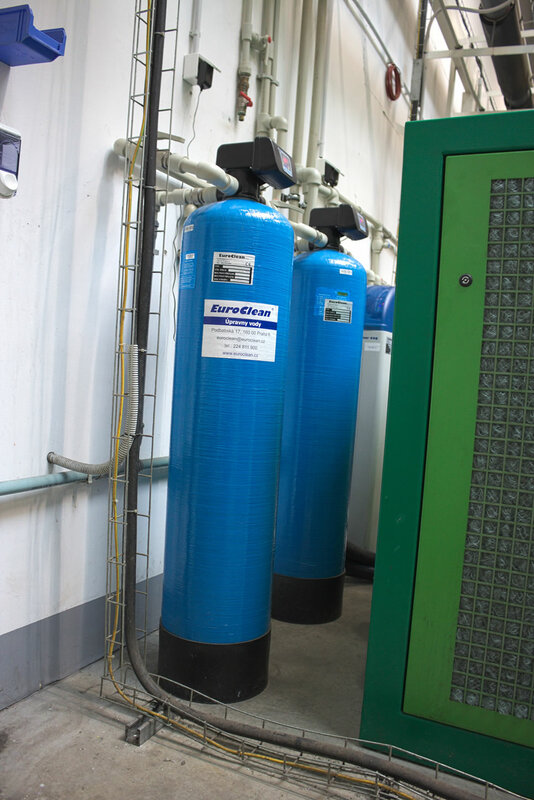 The removal of free chlorine occurs by the reaction with activated carbon from which the filter bed consists of. Free chlorine turns into harmless chlorides. 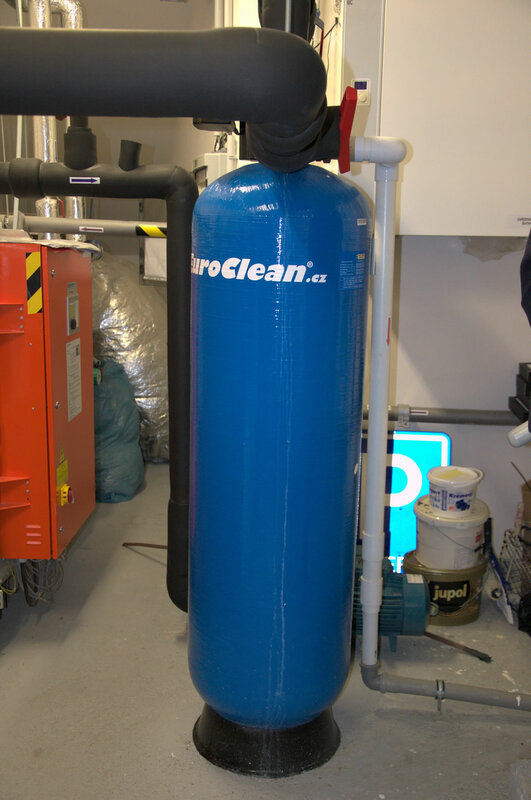 During the removal of free chlorine, the filling gradually degrades and should be exchanged at some point. Activated carbon has an extremely high particle surface on which even dissolved impurities are adsorbed. 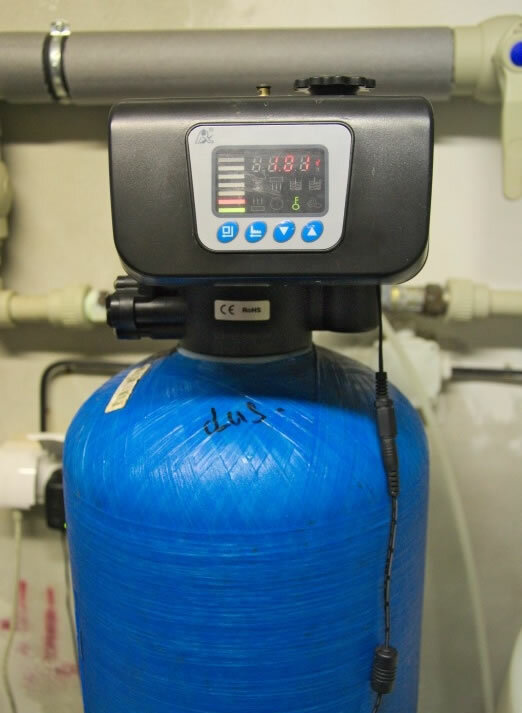 They are tightly bound and do not rinse into waste water when the filter is flushed. During the adsorption of impurities, the coal pores gradually fill up, the capacity of the coal gets exhausted over time, and the coal bed needs to be replaced with a new one. 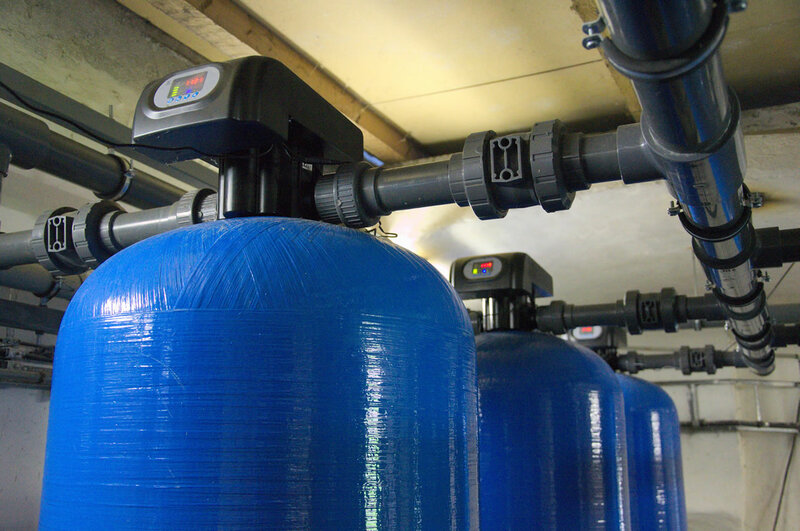 When removing suspended solids (turbidity), AquaBed serves as standard depth filtration (similar to sand filtration). 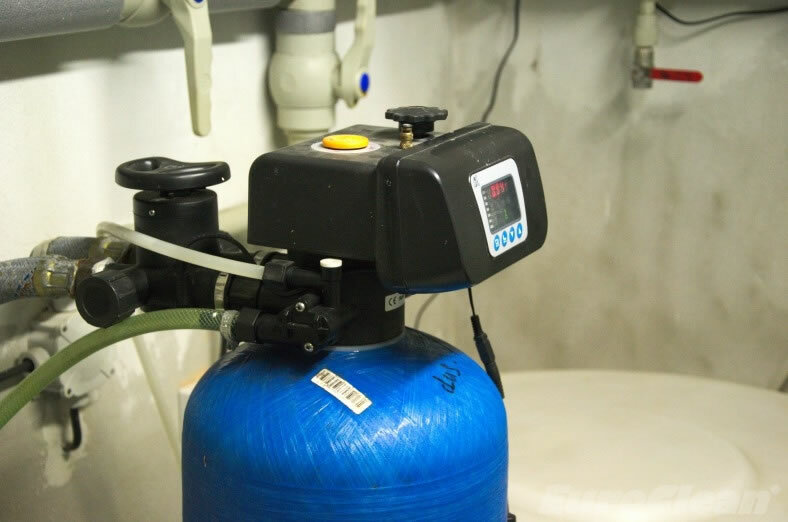 The captured suspended solids are removed during the backwash of the filter. AquaCarbon filter is connected to the main water supply to an object or appliance using a bypass fitting. The outlet of the water that flows out of the filter during the backwash is introduced to sewerage. The final step is to set the control valve according to your needs. During the backwash, water supply is interrupted, but two AquaCarbon units can be connected parallel to each other, as a DUPLEX, to ensure uninterrupted operation. 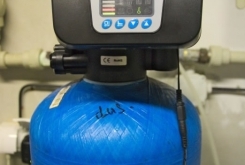 The filter can be made either with an automatic (A) or a manual (M) control valve.